What will you find on this site ? Here you will find details of all my major interests and hobbies. Hopefully I can provide some 'answers' about computer security, preserving your data, astro-imaging and DVD movie making (as well as how to build a windows based disk-less 'compute nodes' for a Distributed computer processing 'DC farm', as used for my 'SETI Wall'). On the "Next >>" page you will find some 'links' to various software and web sites I used in creating this site and building my various projects. My main home computer runs Windows XP Pro and is left running 24x7. My home 'Server' (NAS - see next topic) runs Windows 2000 and is also left running 24x7 but is never rebooted (it has no connection to the Internet so it can't be Updated). Neither have locked up or crashed in over a year. I put this down to 3 main factors := (1) both 2000 and XP are old enough (and simple enough) to be (almost) bug free, (2) all non-essential 'Services' have been disabled and (3) I avoid crap commercial software 'free trials' etc. like the plague. Most of my 'hints and tips' thus follow the KISS principle - if you want your computer to run for years without crashing or needing constant 'defragging' and 'cleaning' and I suggest you do the same :-). 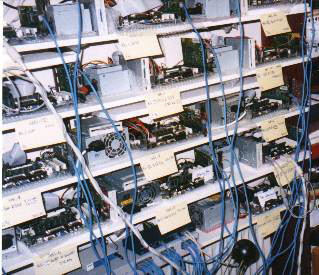 For the ultimate in data protection and backup, I show how you can use an old PC to build a 'Home Server' (or NAS = Network Attached Storage 'device') and use it to save copies of all your priceless data. Whilst you are at it, learn about Shares, User Accounts and Networking (and how to make it hard for your kids and their 'wannabe hacker' friends to gain access to the Server and trash your data). I show how Crimson Fields, a cross-platform open source hex-based wargame (inspired by the DOS 'Battle Isle' series) can be built for the PC. The entire game is less than 1Mb, which means the game source code is small enough to be totally understood by a single person - rather than today's games, which frequently exceed 1Gb and could never be understood by less than a programming team of dozens. Starting with the open source code, I show you how to 'build' Crimson Fields for Windows and then how to modify the combat units definitions & terrain artwork and even make a simple change to the source code to double the play area for todays much larger and higher resolution monitors. A basic DIY star tracking camera mount (aka 'Barn Door' or 'Haig Mount' = photo left) that anyone can build using basic wood-working skills. I take you through the 'theory' and actual build and discusses the trade-off between the various different approaches. The finished BarnDoor is then retro-fitted with a simple motor drive that anyone can build with basic electrical skills (using 'off the shelf' parts such as magnetic reed switch from a burglar alarm 'door open' detector, the insides of an electric clock with a second hand and magnets taken from a kids toy to control a relay switch). My local Astronomy Society needed to replace the old (mains) motor on their 'pillar mount' used public demonstrations. 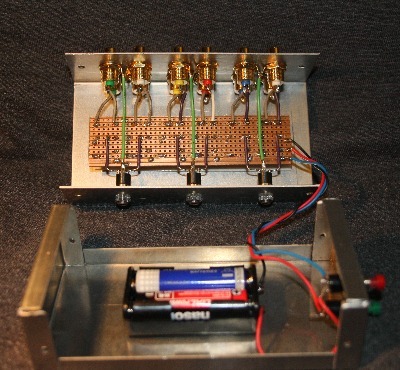 I describe here how to design and fit a battery operated servo motor and a speed control system with a simple feed-back loop using basic electrical wiring skills and then go on to consider 'advanced' control and PWM motor drive circuits. To use a DSLR (digital camera) with your telescope you need to download some open source / free software to control both camera and telescope. For the Canon 350D, you also need to build or buy a serial cable to control the shutter (more modern camera's can be controlled by a USB cable). The circuit used for the 350D can be adapted to almost any digital camera equipped with a 'manual shutter release' or 'B mode' socket. 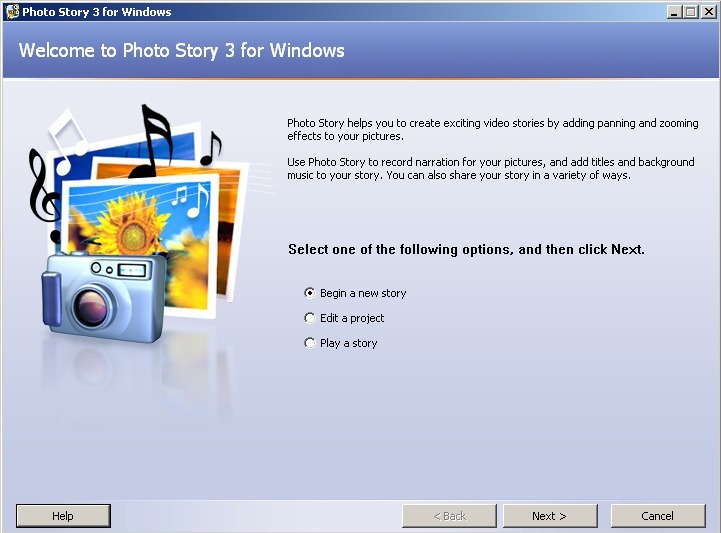 I show you how Microsoft PhotoStory 3 (available free from the MS site to authenticated Windows XP users) can be used to create a 'movie' from a collection of photo's in both 4:3 TV and 16:9 'letterbox' format. I show how the completed PS3 .wmv can then be converted using Windows Movie Maker and Open Source applications into MPEG format that can then be used to create a movie DVD (see below). I explain how to built a movie DVD that will play in a standard domestic DVD/BluRay player and display in correct 'letterbox' aspect on your TV (unlike those you will make by following most other guides, which can only be 'played' on a PC or with 'black bands' on your TV). After showing you how a Photo Story (or movie from your own camera) can be made into a movie DVD, I look at How to convert a PowerPoint presentation to video and How to add Subtitles. I then move on to how to make AVCHDs (a HD DVD movie that will play in a normal domestic BluRay player ) and how to generate 5.1 surround sound from a stereo source. Finally I include some short clips from 'movies' I have created using MS PhotoStory 3 and from PowerPoint presentations. 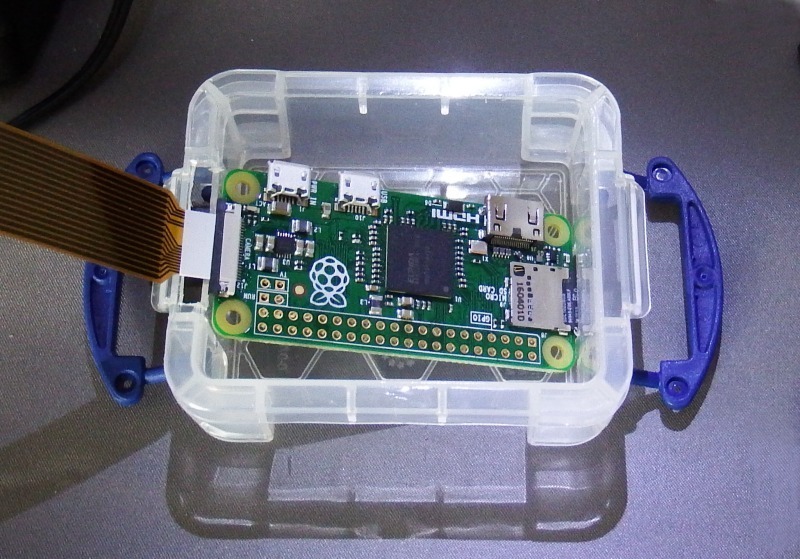 Here are my Raspberry Pi based 'mini-projects'. The Pi is a credit-card sized Linux based 'single board computer' aimed at the 'educational' market but is ideal for the hobbyist. I show how to use the Pi to make a 'full sized' digital photoframe (built using an old 19" LCD), a Jukebox / music center and to control an astronomical telescope. The PIC is a fantastic little 'stand-alone' programmable 'single chip processor' running at a few MHz that (at the low end) canbe had for less than 50c ! These devices can be programmed to do a huge range of tasks for less than the cost of more 'dedicated' chips ! I used DOS floppy disks to 'boot' my computing 'nodes' by fetching a compressed Win98se Operating System 'image' across my home network and loading it into in a RAM Disk. I explain the 'trials and tribulations' I encountered whilst overcoming Microsoft's built in limitations. Finally I consider what's involved in moving from 'SETI Classic' to 'BOINC' and how the approach might be adapted to booting using a Network Card's BOOTP or from USB sticks. NOTE, this is mainly of historical interest, since the 'farm' is no longer running. This is just one of the many other 'mini-projects' I've built in recent years, which include my first (Windows based) digital photo-frame and a Ring Flash. Almost all 'personal' websites (and all 'high end' websites) use the Open Source 'Apache' web hosting software (along with the PHP scripting language). Securing your website to exclude the most script kiddies is not as difficult as it might seem. The difficulty is with 'navigating' your way through the massive number of on-line 'How To' forums, few of which explain exactly how their suggested 'solutions' actually 'work'. Of course, if you made the mistake of signing up to hosting service that uses Microsoft software (with ASP) you will need to look elsewhere. This note last modified: 1st Mar 2016 17:50. 'Locking down' your website to exclude the more determined 'hacker' is somewhat harder that simply keeping out the 'script kiddies'. You have to assume that sooner or later they will gain sufficient access to 'bypass' one or more of your .htaccess files and/or the ability to 'upload' their own web page files. This means taking more 'active' measures to 'protect' your site and structuring the site so that, by default, it is becomes non-responsive. This note last modified: 15th Apr 2017 04:54. If you think becoming Evil Overlord of some backward medieval land is easy, let me assure you it's not. The aspiring Evil Overlord's 'to do list' is almost never ending - and once you have enslaved the local peasants and turned them into a world conquering army, your troubles really begin ! Fortunately there are a great many Hollywood films to help you. Whilst they tend to gloss over exactly how to achieve Over-lordship (things to do) they always spell out in minute detail exactly how to totally muck it up (things not to do). So, to help you become the Evil Overlord of the domain of your choice - and then go on to conquer the world (and live to enjoy it), here is my 'list of 101 things to do'. Of course I also list those things the Good Hero might like to consider doing to oppose the Evil Overlord (for those who would prefer to take the opposite path to eternal fame). This note last modified: 2nd Mar 2017 06:27. If you expect to ever achieve the position of Evil Overlord of some Galactic Star Empire, there are many vital things you need to do to overcome the resistance of those who would rather not become your slaves. However, once you have achieved your goal, you will discover that living long enough to enjoy the fruits of your labours (or, to be more exact, the fruits of your slaves labours) is even harder. Fortunately, you can glean most of what you need to know to survive from almost any Hollywood film or Science Fiction book. Further, most of these tips come in the form of things you should avoid doing. A page of links to many of the software utilities and tools I used in building these web pages and developing my projects. Most are Open Source, others are shareware or 'donation-ware'. Whilst I have tried to list only links to the actual software (rather then some scum-ware 'down-loader' wrapper that attempts to install a browser hijacker and infect you PC with ad-ware) more and more 'repositories' are going down this route. So always check what you get before clicking 'install' (and always select 'Custom install' = unless you like to be 'auto-updated' from the version with a known bug you can work-around to a new version with bugs you can't work around - or one that refuses to 'open' your existing Projects files etc) at random intervals. These web pages have been checked for correct display in the Firefox Web Browser with both NoScript and FlashBlock active ("the only safe way to surf"). These pages are not designed for "affiliate marketing" and the 'uBlock' (ad blocker) plug-in should find nothing to block :-). Due to the recent rise of the 'tablet', slight changes have been made to accommodate Opera on Android tablet (at least 7" screen, best in landscape view mode). If you are viewing this site in MSIE (v6 or later) and don't like what you see, I can only suggest you get yourself a 'proper' browser :-). Note that continuous clicking of the 'Next >>' button (left) will step you through my entire site. This page last modified: 25th Jun 2017 03:24. Page Clicks to date: 685. User 54.226.73.255 @ ec2-54-226-73-255.compute-1.amazonaws.com.